The Wall Street Journal released this week a wasting time ranking of all teams participating in the World Cup. The results may not surprise you. Casual football or World Cup observers always complain about time wasting and faking injuries as part of the fact that football, or soccer as it is known I North America, is not a fun sport to watch. 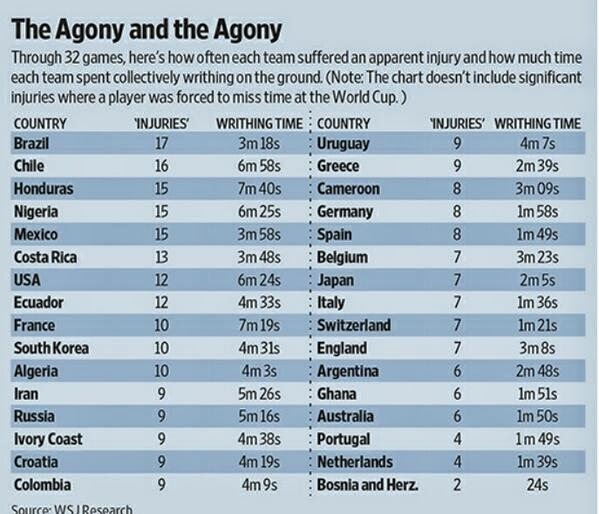 So it is no surprise that the American newspaper, The Wall Street Journal, released a news article this week where they rank all 32 countries in the World Cup by the most time wasted while faking an injury. 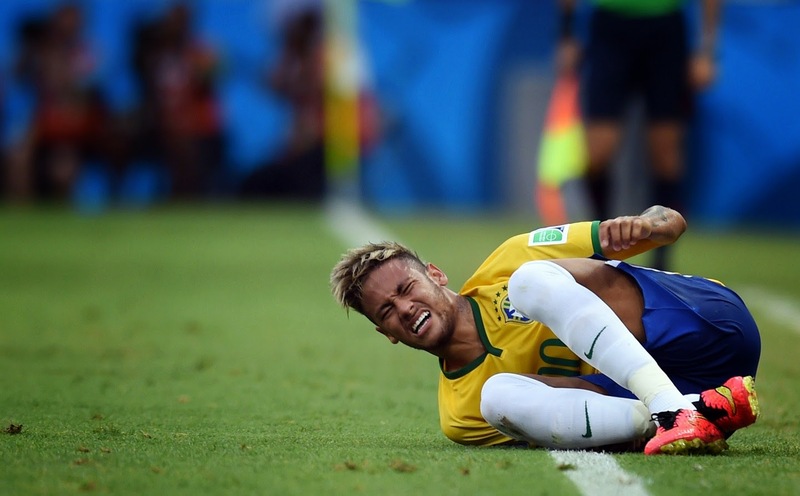 The report does not include time wasted during an injury that resulted in a substitution of the player. It isn’t a surprise to most that Brazil comes in first in the ranking, followed by Chile and then Honduras to round up the top three spots. USA comes in 7th place and Bosnia Herzegovina is last with only 24 seconds of wasted time during their games. Biggest surprise is Italy is ranked 24th and Portugal comes in third from the bottom. Two countries that are normally accused of time wasting and faking injuries, rank below some other countries with far better reputation. An interesting stat, but nothing more than that, for those that love the game, time wasting is just as much a part of the game as diving. Sure, it isn't pretty, but neither is Tevez.